There are 28 men and 10 women competing here at the Techno293+ World Championships, 38 motivated young sailors, all striving for one of the coveted World Champion crowns. It hasn't all been plain sailing for Greece over the last few years: economy in crisis, political chaos, bearing the burden of mass immigration from the war-torn middle east . . .
2019 RS:X European Championships - four days of intense competition! Windsurfing is making a resurgence in areas around the USA. In Miami, city of perpetual sunshine, foilers are taking to the water and youth windsurfing has found new life at Biscayne Bay Yacht Club, one of the unlikeliest of places. This year the IFCA Slalom World Championships will be the sportive highlight of the Multivan Summer Opening on Sylt. The most important slalom event of 2019 will take place in Westerland/Sylt (Germany) from June 3rd to 10th. Interested? Contact Paulo Silva for further information. When more than 48 pounds of plastic, including disposable dishes, a corrugated tube, shopping bags and a detergent package with its bar code still visible, was recently found inside a dead sperm whale in Italy, it was the latest reminder that our food chain is living amid a trash dump. Once a month, a bunch of America's Cup sailors, ocean racers, and former Olympic medalists gather alongside some young and others not so young at a New Zealand lake on Auckland's North Shore. It's a group that has grown in size over time and among them are a bevy of well-known sailors who have well and truly caught the bug. The specialty event got underway with wind gusts of up to 70 knots (80 miles per hour, 130 kilometers per hour), and 26-foot (eight-meter) waves breaking off the Irish Coast. Red Bull Storm Chase, the world's toughest windsurfing contest, is back on after three years of waiting with a serious storm brewing off the Irish coast. After three days of fun races, the wind was finally strong enough to run three official races on the last day of the Defi Wind Japan. 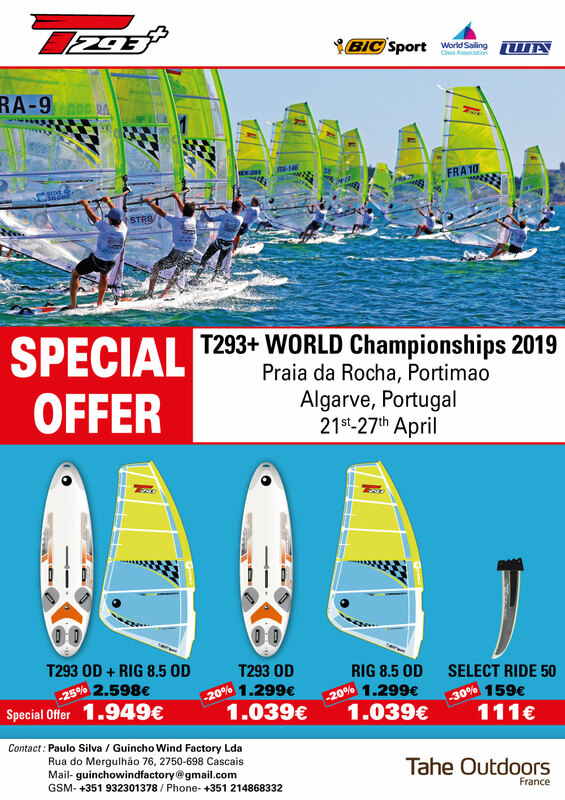 The International Formula Windsurfing Class returns to Praia da Roche, Portimao, for 2 major championships. Praia da Rocha is a beach and urban area on the Atlantic Ocean in the southern section of the county of Portimao, Algarve, southern Portugal.